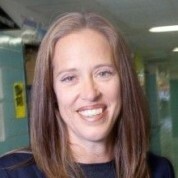 Wendy Kopp is CEO and Co-founder of Teach For All, a global network of independent organizations that are cultivating many of their nations’ most promising future leaders to ensure their most marginalized children have the chance to fulfill their true potential. Wendy founded Teach For America in 1989 to marshal the energy of her generation against educational inequity in the United States. Today, more than 10,000 Teach For America corps members—outstanding recent college graduates and professionals of all academic disciplines—are in the midst of two-year teaching commitments in 50 urban and rural regions, and Teach For America has proven to be an unparalleled source of long-term leadership for expanding opportunity for children. After leading Teach For America’s growth and development for 24 years, she moved into the role of chair of the board in 2013. Wendy led the development of Teach For All to be responsive to the initiative of inspiring social entrepreneurs around the world who were determined to adapt this approach in their own countries. Now in its eighth year, the Teach For All network is comprised of partner organizations in more than 35 countries around the world, including its founding partners Teach For America and the U.K.’s Teach First. Wendy has been recognized as one of Time Magazine’s 100 Most Influential People and is the recipient of numerous honorary degrees and awards for public service. She is the author of A Chance to Make History: What Works and What Doesn’t in Providing an Excellent Education for All (2011) and One Day, All Children: The Unlikely Triumph of Teach For America and What I Learned Along the Way (2000). She holds a bachelor’s degree from Princeton University, where she participated in the undergraduate program of the Woodrow Wilson School of Public and International Affairs. Wendy resides in New York City with her husband Richard Barth and their four children. "The Global Teacher Prize symbolizes what our commitment to exemplary teachers should be. It’s a great honor to be a small part of the process and a great privilege to be able to learn from the finalists as they change our ideas about what’s possible for children."